Optimized credit card processing architecture means simpler operations and lower processing fees when companies across portfolios combine’ processing needs using the versatile UniPay platform. New York, NY (January 23, 2017) – United Thinkers, the innovative company behind the UniPay Gateway Platform, launches a new program today aimed at helping holding companies and similar organizations investing in multiple companies to optimize credit card processing architecture and combine processing fees across their portfolio, leading to cost savings and a boost to the bottom line. Fragmented processing and legacy technology may be preventing some portfolios from realizing their full profit potential. Some investors who are not entirely happy with the fluctuating real estate market or the uncertainties of cryptocurrencies, for example, build their fortunes today on company acquisition and improvement. There is a significant opportunity for such investors who choose to invest in payment facilitators and companies that rely on recurring billing. To realize full profits from this hidden opportunity, however, investors may choose to consolidate the transactions of the companies through a single processor, allowing them to obtain lower processing fees than any of the individual companies had because of the larger volume. A modern payment processing choice also allows for improving the companies in other ways. “Because we’ve seen positive results for our clients, we want to provide a path to better profits for other investors who don’t know about the cost-saving opportunity that payment processing optimization provides. Our new program allows us to analyze existing payment infrastructure and create a simplified plan to optimize costs. Plus, we can help those who want to become payment facilitators realize that goal with a system that’s optimized from the start and can grow with them,” Kipnis said. 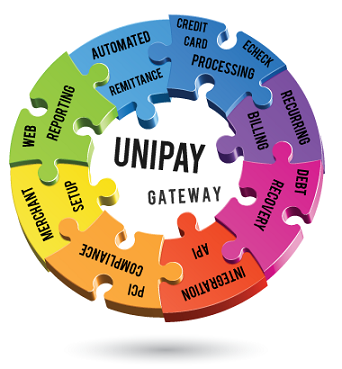 The UniPay Gateway Platform from United Thinkers is robust omnichannel commercial open-source software that is affordable and features advanced APIs and a wide variety of code samples for easy integration. It includes its own EMV terminal solution and mobile solution and is integrated with all major processors and payment facilitation platforms in North America. United Thinkers is an enterprise software development company based in New York City. Learn more about its flagship product and the payment industry in general at its blog, www.Paylosophy.com. Press Release: Optimized credit card processing architecture means simpler operations and lower processing fees when companies across portfolios combine' processing needs using the versatile UniPay platform.